When I was told that I would stay at the Mandina Lodges, in one of the floating bungalows overlooking the river in the wild Makasutu Forest, I couldn’t have felt happier. 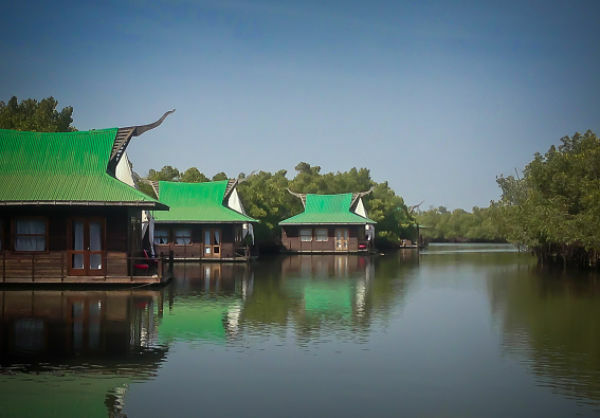 Of course, having the privilege of being invited to discover a new – and often overlooked – destination like The Gambia, I certainly would have not complained. Still, the truth is that having the opportunity to stay inland, in an off-beaten and isolated area rather than at one of the beach resorts was the perfect fit with my tastes and travel style. Spending a few days in a small lodge in a beautiful natural setting off the beaten path is one of my favorite lodging experiences thus I was really curious to experience the Mandina. Not that I wouldn’t have liked spending a few days at a beach resort, to experience two different sides of Gambia. 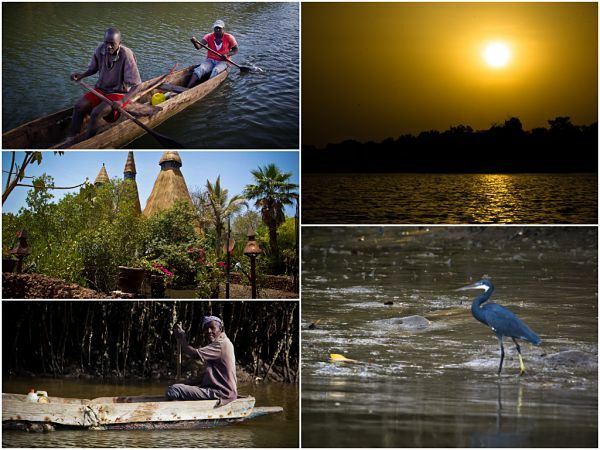 It’s just that time was too short, and having to pick just one of the Gambia experiences, this was the right one for me. To me, luxury is a blend of comfort, special place, small dimensions and character. The uniqueness of a site and, by extension, of the related experience, is the main reason that makes me chose one lodge or resort and not another. Certainly the beautiful scenery for a lover of nature and wilderness like I am are an important driver. Then the excellent cuisine, thanks to a very good and extremely kind chef. I understand this might provoke a few smiles, but I’m Italian, I appreciate good food and believe me, the one I had at the Mandina River Lodges was really good. It may seem a minor point, but when you’re staying in a place which is isolated and not really offering an alternative as far as dinner is concerned, I believe that this is an amazing plus. 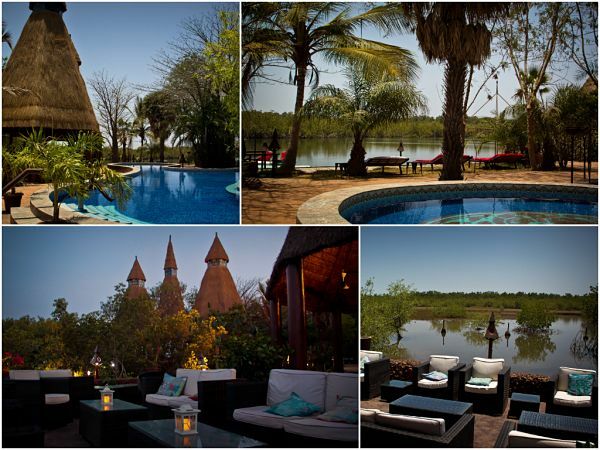 The Mandina Lodges are isolated, peaceful and an oasis of wilderness and silence, with almost no connectivity. Ideal for the ones who, like me, wish to reconnect with nature, and escape from the daily buzz and noise, it’s not the place if you look for nightlife or entertainment. Sunset is perfect to chill out with a drink, and nights offer an unforgettable sight of the sky and the bright stars. A view that due to the ‘light pollution’ has become more and more rare. It’s a slice of paradise, an oasis of peace, and for the ones looking for entertainment and night life the Mandina Lodges are certainly not the place. The Mandina Lodge and the Makasutu Forest are also a paradise for the ones passionate about bird watching. I’m far from being an expert (and I know very little about birds), but chilling out on the patio, looking at the fishermen sailing on the river with their pirogues or listening to the singing birds was a real pleasure. No matter if Mandina is isolated, everything is very easy to reach if one, after chilling out for a while by the swimming pool or the river, fancies something different. Many attractions like the markets – both the lively Brikama market or the wonderful Tanji fish market – are not too far away, villages, the seashore or more wildlife are close-by. After all, the Gambia is a small country. People at the Mandina Lodge are ready to help their guests with suggestions, and can offer excursions or just a taxi for the one willing to explore more of the country in an independent fashion. I’m much of an independent traveler myself, but I would definitely recommend the sunset cruise along the river. The view is lovely, the colors are stunning, and I was really astonished when I saw flocks of birds coming all to the same spot for their night rest. And if, like me, you’ll be lucky enough to have Mamadji (hope the spelling is right…) as a guide, you’ll learn a lot of things about the environment and the wildlife since he has an amazing knowledge. After all, there’s no better way to discover a country than through the eyes of locals. 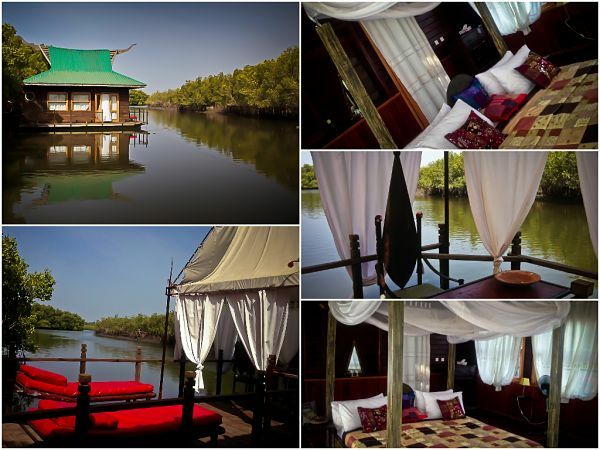 Note: Special thanks to The Gambia Experience, which invited me to discover a beautiful country. As always, opinions and feelings expressed are my own.